This is very easy to put together and very tasty! The recipe is from allrecipes. Preheat oven to 350 degrees F (175 degrees C). Place walnuts on small baking sheet, and bake for 6 to 8 minutes or until toasted. Melt butter in a medium saucepan over medium heat. Cook onion and garlic in melted butter for 3 minutes, stirring frequently. Stir in the rice, add the broth, and bring to a boil. Reduce heat to medium-low. Cover, and simmer until liquid is absorbed, about 7 to 8 minutes. Place broccoli in a microwave-safe casserole dish, and sprinkle with salt and pepper. Cover, and microwave until tender. Spoon rice onto a serving platter, and top with broccoli. 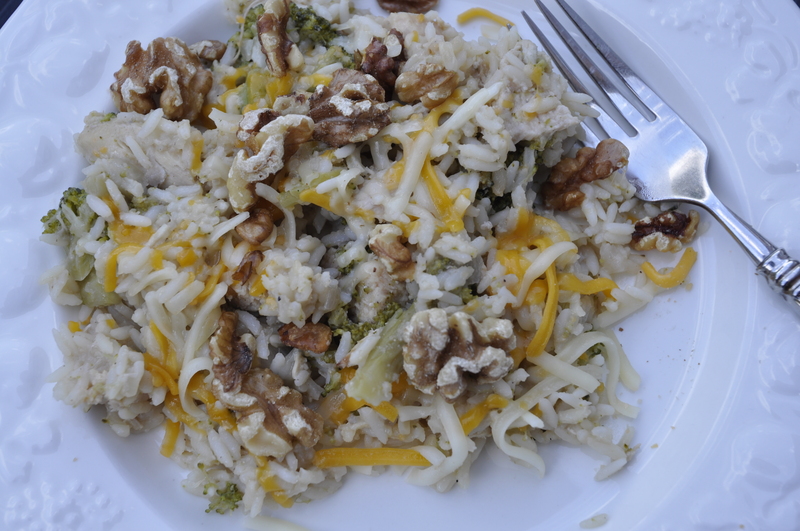 Sprinkle walnuts and cheese on top. Pollo Verde will now be my meal of choice for my easiest and most delicious dinner. I even plan to serve it next time we have guests over. With 2 ingredients, it couldn’t be simpler, but the taste is amazing! To prepare, place chicken breasts in the crock pot and cover with 1/2 – 1 jar of a gluten-free Salsa Verde. Cook for 6-8 hours on low. When chicken is done and tender, take it out, and shred it with a fork. Then, put the shredded chicken back into the crock pot and mix in with the juices and salsa. Serve in warmed corn tortillas (heated on a hot skillet until browned) and top with chopped onion, cilantro, avocado, and a squeeze of fresh lime. That’s it! My family loves this meal. 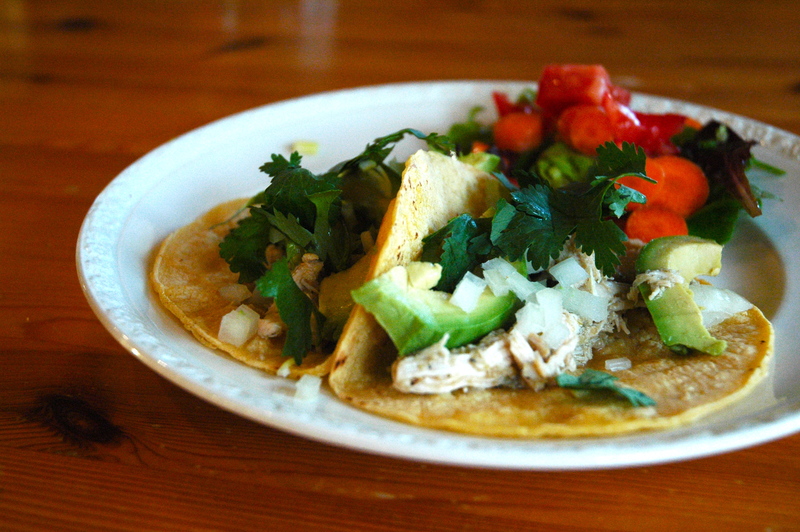 It’s healthy, fresh, and reminds me of street tacos from Mexico. Enjoy!